But at least you can have each side play a different tune! It is a monster, heavy too. I have 2 of them. I was gunna sell it and wait till I got another single rapid with a kit. but the USB port is a nice feature, im keeping it. random thought you would think Dewalt would have been the first to make the cordless coffee maker. In many ways they did by coming out with their cordless 120volt power supply. would be nice to do full pots. Last edited by cedarboarder; 11-24-2018 at 06:06 PM. My new 16ga. nail gun quit driving nails. Couldn't even get it to sink them in 5/4 WP. Dropped it off at the Makita Service Center wed. afternoon. "First time I've seen one of these" says the tech. "Won't be the last" says the customer. 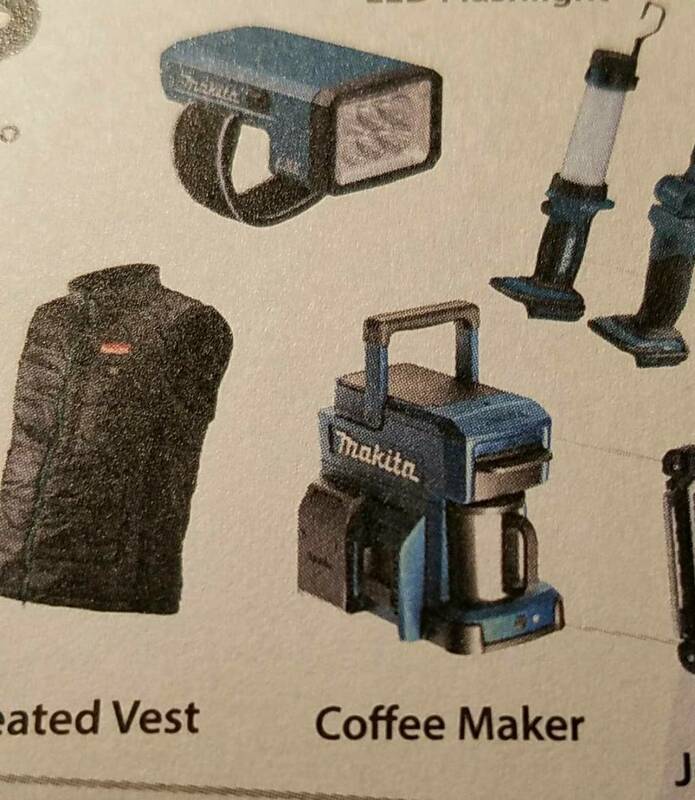 Makita has had a 18v LXT cordless coffee maker out for a number of years now. Never seen or used one so no idea how well it does or doesn't work. I got one for Christmas and has been awesome on the job, camping, and fishing. it also comes with a cord to plug in 120v. yes it's slow. yes the cups are small. but it's a good coffee. 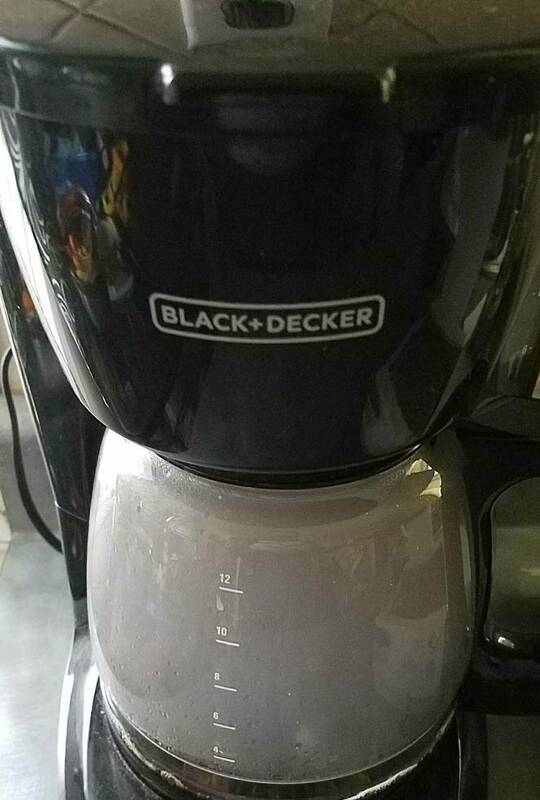 I just brew 2 cups back to back with a 5 ah. Last edited by cedarboarder; 11-28-2018 at 07:30 PM. If it's not brushless, coilless and waterless I'm not interested. Did you get the one that looks like a roto zip, or the one that looks like a jig saw? jig saw model , going to be using it tomorrow. Last edited by cedarboarder; 11-29-2018 at 05:02 PM. Got my Makita battery/ac flood light today. I can see why Leo said it is not that bright, because it's not that bright. However for what I need it for it's perfect. I just need to shine light on my doors when I'm installing them in the old houses from the '50's and 60's when windows and lights were apparently out of style. some more finds. 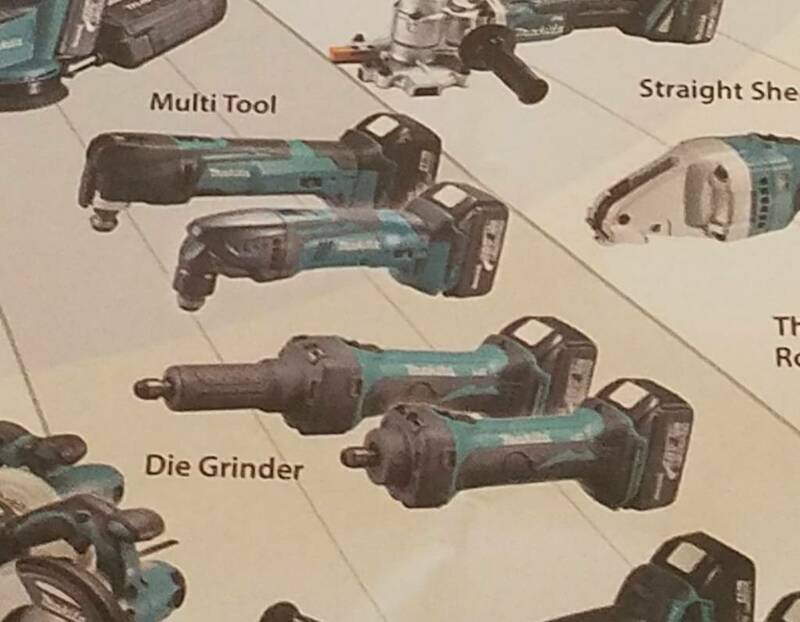 New model of die grinder with variable speed I hope. Last edited by cedarboarder; 11-29-2018 at 08:09 PM. I have that saw, it is awesome on sheetrock. Opening up sheetrock with a knife is probably my least favorite thing to do, but with the saw it is effortless and with a vacuum hooked up completely dustless. This is the only tool I own that could ever persuade me to buy that Makita backpack vac. With Milwaukees latest offering, however I would probably go team red. Also, I wouldn't waste your money on the Makita gypsum blades for cutting rock. You can us 2 or 3 sections of 3/4" snap off utility blades, and they work just about the same as the $13/each Makita blades. I wrecked the blade that comes with the saw on the first cut I made hitting a screw head, folded 3 or 4 teeth completely backwards. if it didn't take Olfa blades I would not have got it haha. I'm wondering what other blades I can clamp in it. the backpack vac was tempting but the dust bag is just too tiny. going to use with my shop vac till I get a decent dust extractor. Bosch or Milwaukee. Any 3/4" snap blades. Tajima makes the best ones I have used. I tried some cheap "serrated" snap blades I bought from Amazon but they shattered on me when I tried to clamp them in the chuck. I really don't understand how makita justifies the cost of those blades. I can buy a 12" long carbide tooth (with.. 40? carbide teeth) Diablo demo blade for $20, or a 2" piece of stamped steel for $7 less. 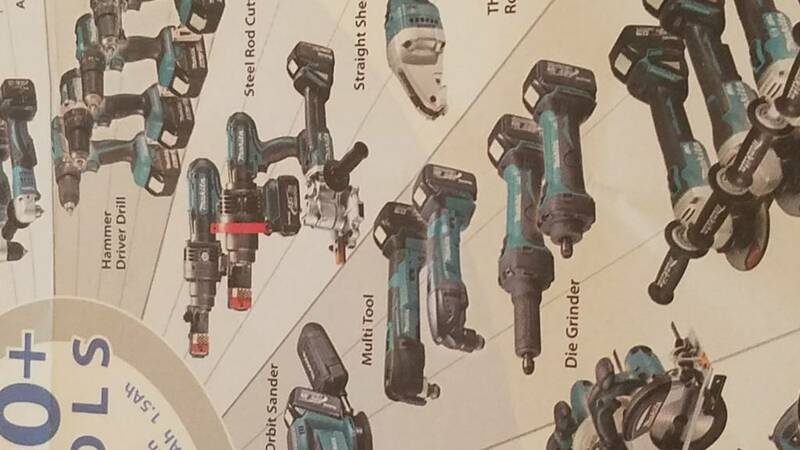 Isn't the Multi-tool just the toolless model and the tool model? I have the top one, tooless blade change. blades are made in Japan. must be why so expensive. I was gunna try the Olfa black heavy duty blades.